I am so excited to get to be part of the Sew Red for Women Blog Hop. Leah from Burgundy Buttons organized this amazing hop (and blog) to draw attention to Heart Disease. This cause is close to Leah's heart and she is doing a phenomenal job raising awareness. 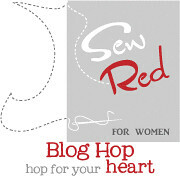 Check out the Sew Red for Women blog to learn more about what you can do to help prevent Heart Disease. So now it's my turn to Sew Red for Women!! So let's get started on the tutorial!! 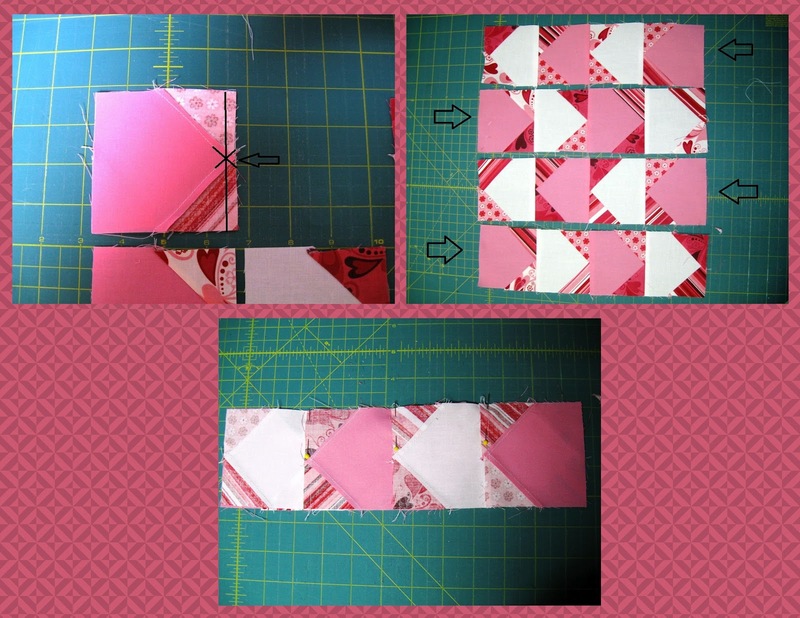 Start by drawing a diagonal line across the wrong side of all of your 2" squares. 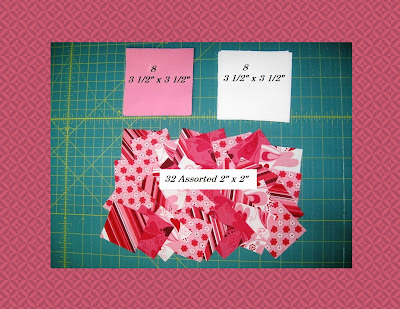 Then line up your 2" square in the upper right hand corner of your 3 1/2" square. Sew diagonally across your 2" square directly on the drawn line. Continue to chain stitch all of your 16 blocks. Clip the threads between your squares. 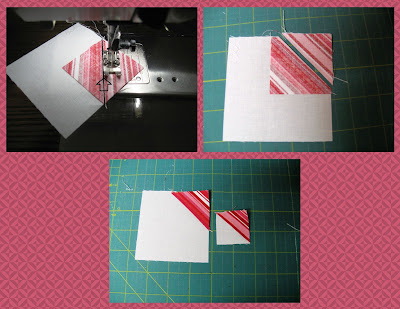 Align your ruler 1/4 over the sewn line then trim away the excess. 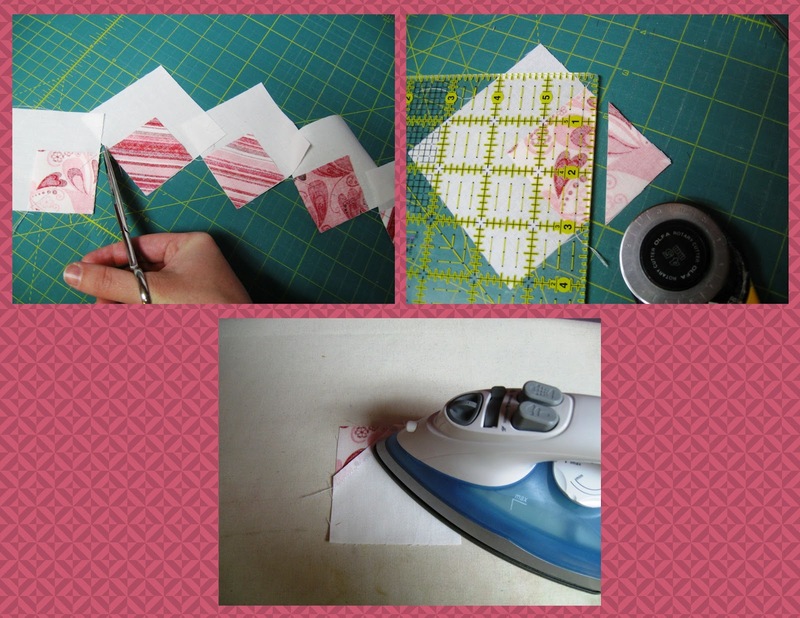 Press towards the print fabric. So now you are here and ready to finish the other side. 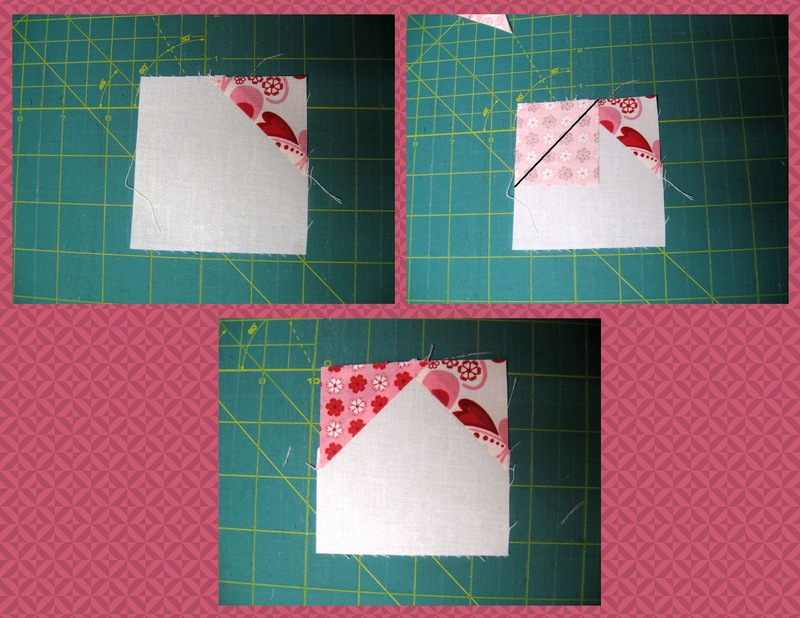 Once again line up your 2" square but this time in the upper left hand corner of your 3 1/2" square. Sew diagonally across your 2" square directly on the drawn line. 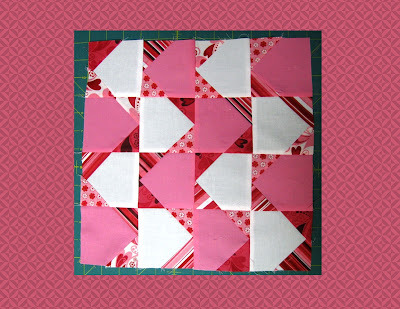 Continue to chain stitch all of your 16 blocks. 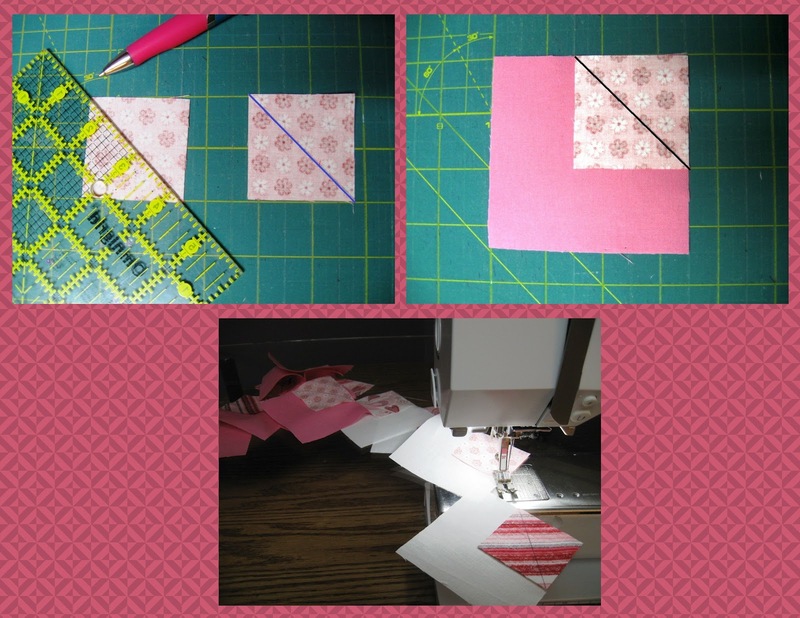 Clip your threads , trim, and press. So now with your squares all cornered up, go ahead and lay them out as follows. 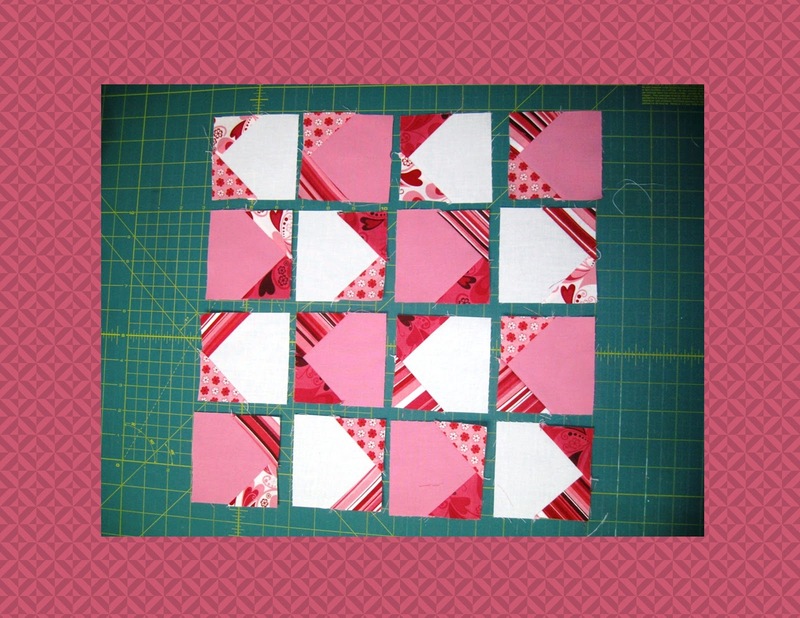 With your rows sewn together you can now sew your rows into a block. Take care to nest your seams and pin each one so you get nice points. Press your rows open to avoid bulk. And if you are just joining the Hop here is a schedule of where it has been and where it is going :) Yippee Skippee for being part of such an amazing group of quilters!!! Great tutorial!!! That is a lovely block! Great tute! This is such a worthy cause too. Thanks! 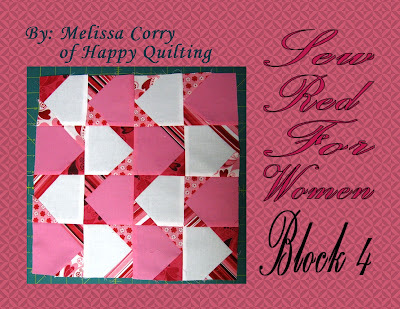 I just came across the Sew Red for Women blog tour & getting caught up on everyone's blocks! I'm a follower but I guess I missed this post! Glad I'm seeing it now! It's fantastic!